Researchers report in the journal Science that they can increase plant productivity by boosting levels of three proteins involved in photosynthesis. In field trials, the scientists saw increases of 14 percent to 20 percent in the productivity of their modified tobacco plants. The work confirms that photosynthesis can be made more efficient to increase plant yield, a hypothesis some in the scientific community once doubted was possible. Many years of computational analysis and laboratory and field experiments led to the selection of the proteins targeted in the study. The researchers used tobacco because it is easily modified. Now they are focusing on food crops. "We don't know for certain this approach will work in other crops, but because we're targeting a universal process that is the same in all crops, we're pretty sure it will," said University of Illinois plant biology and crop sciences professor Stephen Long, who led the study with postdoctoral researchers Katarzyna Glowacka and Johannes Kromdijk. The team targeted a process plants use to shield themselves from excessive solar energy. "Crop leaves exposed to full sunlight absorb more light than they can use," Long said. "If they can't get rid of this extra energy, it will actually bleach the leaf." Plants protect themselves by making changes within the leaf that dissipate the excess energy as heat, he said. This process is called nonphotochemical quenching. "But when a cloud crosses the sun, or a leaf goes into the shade of another, it can take up to half an hour for that NPQ process to relax," Long said. "In the shade, the lack of light limits photosynthesis, and NPQ is also wasting light as heat." Long and former graduate student Xinguang Zhu used a supercomputer at the National Center for Supercomputing Applications at the U. of I. to predict how much the slow recovery from NPQ reduces crop productivity over the course of a day. These calculations revealed "surprisingly high losses" of 7.5 percent to 30 percent, depending on the plant type and prevailing temperature, Long said. Long's discussions with University of California, Berkeley researcher and study co-author Krishna Niyogi - an expert on the molecular processes underlying NPQ -suggested that boosting levels of three proteins might speed up the recovery process. To test this concept, the team inserted a "cassette" of the three genes (taken from the model plant Arabidopsis) into tobacco. "The objective was simply to boost the level of three proteins already present in tobacco," Long said. The researchers grew seedlings from multiple experiments, then tested how quickly the engineered plants responded to changes in available light. 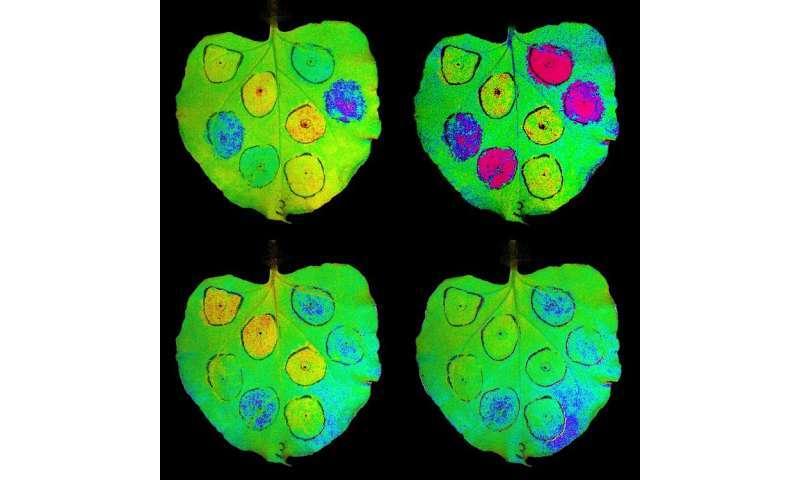 A fluorescence imaging technique allowed the team to determine which of the transformed plants recovered more quickly upon transfer to shade. The researchers selected the three best performers and tested them in several field plots alongside plots of the unchanged tobacco. 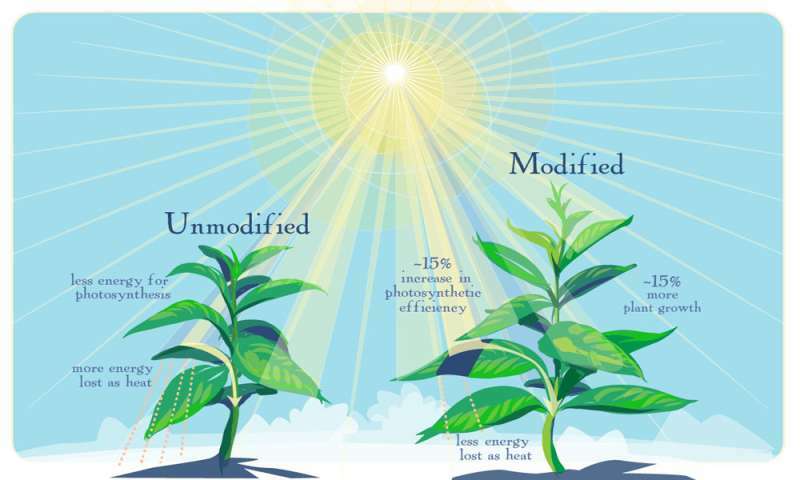 Two of the modified plant lines consistently showed 20 percent higher productivity, and the third was 14 percent higher than the unaltered tobacco plants. "Tobacco is grown for its leaves, which were substantially increased," Kromdijk said. "But in food crops, it will be whatever we eat from the plant - the fruit, the seeds or the roots - that we will need to increase." Other experiments have demonstrated that increasing photosynthesis by exposing plants to high carbon dioxide results in more seeds in wheat, soy and rice, he said. "Now we can do this genetically, and we are actively working on repeating our work in various food crops," he said. "This finding offers some rare good news at a time of dire forecasts of future food shortages," Glowacka said. 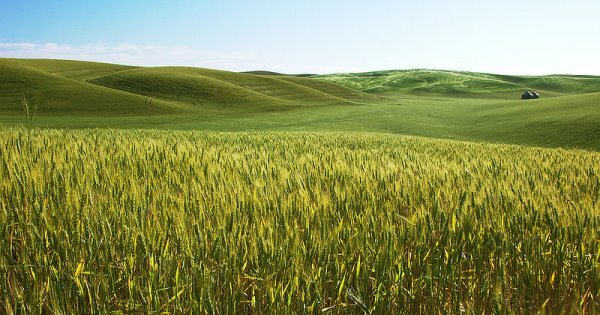 "The United Nations predicts that by 2050 we're going to need to produce about 70 percent more food on the land we're currently using," Long said. "My attitude is that it is very important to have these new technologies on the shelf now because it can take 20 years before such inventions can reach farmer's fields. If we don't do it now, we won't have this solution when we need it." The Bill and Melinda Gates Foundation funded this research, with the stipulation that any new agricultural products that result from the work be licensed in such a way that the technology is freely available to farmers in poor countries of Africa and South Asia. Can't wait for these genes to jump into Kudzu! A maximum increase of 20% is far away from a "nearly double". Overpopulation causes a lot of problems. But the lack of food will certainly be our biggest problem. It even could cause the next world war. Remember Einstein's quote concerning the next world war. Our goal should be to reduce the world population. Some countries in Asia and Africa have already recognized this problem. They try to solve it with mass abortions, financial incentives and laws. Also Stephen Hawking voiced fears for the development of humanity. He suggests colonizing other planets. But it will take a long time until we can reach earth like planets. And it will take much more longer until we have successfully terraformed such a planet. We really don't have so much time. According to economist Ester Boserup, it is population increase that leads to technological revolutions making way for more people living on Earth. As a consequence, reducing the population would lead to technological stagnation and decline. I certainly don't wish that for the mankind. The population in developed countries is already quite old due to a lack of demographic replacement. The economies of those countries are veering towards sustaining an old population and away from economic growth. This is already having catastrophic effects, as businesses run away to better countries. What we need is progress and finding new resources that can ensure the future. Farming can now be done vertically with efficient LED light and maybe in the future with nuclear energy. Living can be done in the same way. The carrying capacity of the Earth may be far greater than the current population with better technologies, not necessarily new ones. Of course, vertical farming has its advantages. But as far as i know, currently there aren't any buildings, that are used for this purpose (with the exception of some scientific facilities). And i think, i know the reason. These foods would be more expensive. And that means, that poor people could not buy such food. But there are many poor people, and the number of poor people continues to grow, even in industrial countries like in Austria. I think, vertical farming is not a solution for all people on Earth. It seems that LED-light is something different than bulb-light. Some animals behave differently due to the light source. Maybe LED-light effects also the growth of plants - one way or the other. I think LEDs should be explored further, before they are extensively used for vertical farming. There are companies transforming shipping containers into farms with a controlled environment, hydroponics, LED lighting, low water consumption and high yearly crop yields (due partly to many crops being raised successively). For now they are destined for leafy plants, e.g. lettuce and some leafy cabbages. So the technology exists already. Vertically stacked containers are already used as living spaces. Do you know by chance, how high currently the proportion of vertically grown food in the supermarkets is? That would certainly be very interesting. I don't know, but I don't think it is too high. These are quite new technologies but their potential is great. There are a lot of new technologies. But i think new technologies are like theories. First a theory has to be proven, before we can cheer. And of course it should be useful for people. In the case of food, the only thing that counts, is how much is offered in the supermarkt shelves at last. I will keep this topic vertical farming in view. A charity called Morningstar are using AQUAPONICS to achieve far higher boosts to crop yield, and in deprived locations where it is needed most: Youtube is full of their examples round the world. The higher nutrient density, no need for drought tolerance nor extensive root growth leads to at least double yields. Its water recycling also multiplies yields reliably in areas of water scarcity. Having used aquaponics myself: Stuff grows so quickly that the leaves are softer, sweeter and higher in young growth nutrients too. And it has to be organic as pesticides would harm the fish whose waste feeds the plants so well. 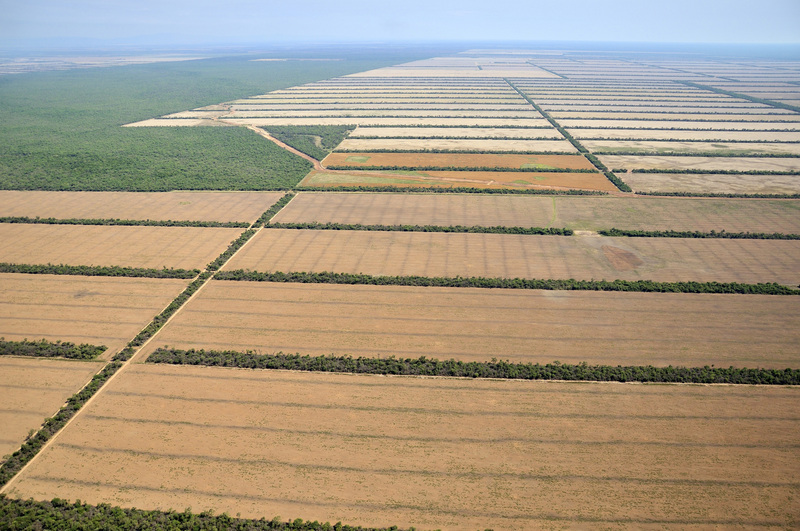 That's our reality: fields everywhere. I don't think, that vertical farming or some other new technologies will be competitive in the next decades. But of course because of overpopulation food will become more expensive. And some day food will be so expensive, that some of these new technologies are used increasingly. But then it's already too late. Poor people can't buy expensive food. A lot of people will die, like already nowadays in some African countries. This is my apprehension. Aquaponics may not be useful for soy or maze but if you want to have as much salad, fruits and vegetables and fish as you have sunlight for then its the way to go. Its also used by "preppers" for their back yard homestead farming, or indoor farming (with LED lights). Its also used in a number of schools to teach about natural cycles and for fundraising through their prolific organic crops. Usually its not sunlight that is the limiting factor in photosynthesis in a field. It is Carbon dioxide, one reason why Corn plants and some grasses have a C4 mechanism to actiively funnel CO2 into the plant. This might not be that useful after all.